I’ve heard from some of you that the May Paper Pumpkin kit was a little tough because of too many “dad” cards. 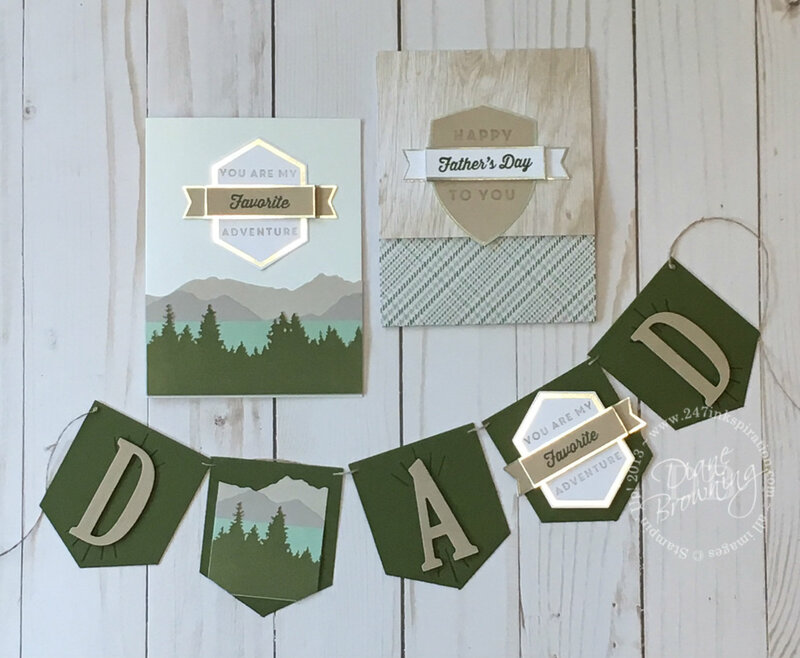 Even though this kit was designed with Father’s Day in mind, it doesn’t have to be just for the guys. You can give a card to one of your favorite nature-loving girlfriends or your friend that loves to camp. And with the variety of sentiments in the kit, you should have enough words to say what you want to say. 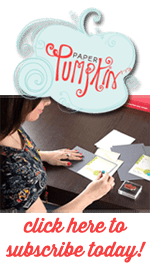 Paper Pumpkin kits can be used just as designed, but you can also do something different with all the parts if the project isn’t your cup of tea. Or if you don’t want that many cards so similar. Using the pieces from the May kit, I made this Dad banner. Very simple and quick to make. The banner was inspired by the two cards in the May kit. How fun it would be to tuck the banner inside the Father’s Day card that you made for Dad. The banner pieces were made from the Pocket Framelits die set. The Pockets have tabs on the sides so you can make an actual pocket on your card or project. I trimmed off the tabs for this banner. I used both the mountains and tree stickers on one pocket and then the badge on another pocket. This is something that Dad will cherish for years to come, knowing that you made it just for him. Don’t miss out on another month… start your Paper Pumpkin subscription today!